Elegance and traditional styling represent the Naples collection with this Kitchen Faucet bringing performance and style to your home kitchen. Manufactured from solid brass and uses a washerless cartridge system, this two-handle kitchen faucet also includes a kitchen side sprayer in the matching finish. 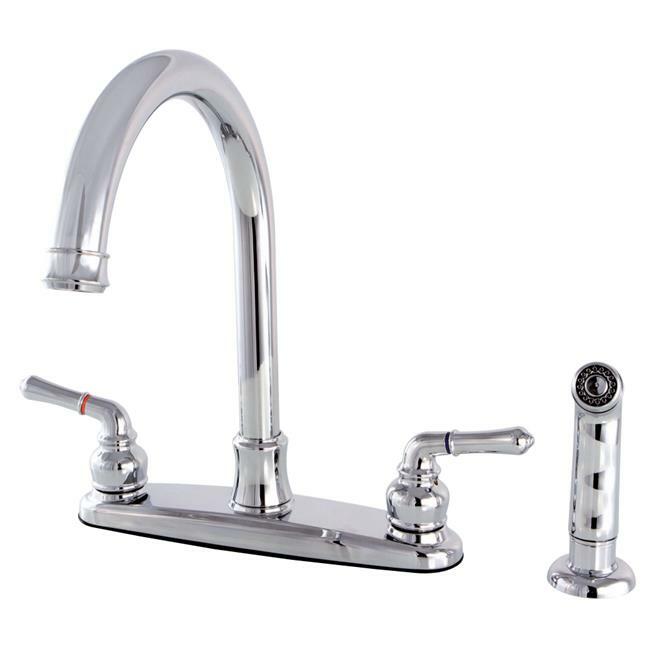 This faucet utilizes hybrid waterways and is available in 3 durable and long-lasting finishes. The tall gooseneck spout and metal lever handles give the finishing touches to this classic kitchen ensemble.